Two things. I finished re-reading The Lord of the Rings, and I played a Tunnels & Trolls solo. There's not a lot to say about The Lord of the Rings. It's still Tolkien: fascinating world-building, moldy old morals, fun travel & exploration, some poignant scenes, some eagles ex machina, and a huge nostalgia trip. 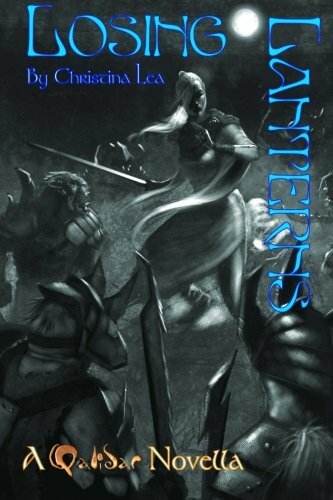 It's been a long time since I've gone all the way through the series, although I've re-read the first one several times over the years. This may, in fact, be only the second time since I was nine years old that I've read The Return of the King. The T&T solo was "The Farmer's Daughter," one of the entries in our Elder Tunnels Halloween Special. Since I didn't have to edit this one, I had the luxury of not reading anything but my own scenario until after it was published. Apart from a Longest Night special by Ken which was more of an imaginative multi-page Christmas card than an actual adventure, this is my first T&T solo. I had always enjoyed the Endless Quest books and kind of liked the crunchier D&D solo adventures with actual dice-rolling that followed, and I adore Steve Jackson's disturbing Sorcery epic, so I was curious to see how this would compare. The T&T community loves its solos, so you'd think the rules would be really well adapted to that style of play. In some respects, they are, but T&T combat is kind of depressing when you have to take both parts yourself. Calculate dice+adds from monster rating, roll monster dice+adds, roll your dice+adds, subtract, apply difference (minus armor) to constitution score, blah, blah, blah. And if it's not really one-sided, it takes forever. At least, it seems like forever. It's fun with someone else taking half (or more) of the burden and facilitating unexpected ideas. Not so much when you're huddled over a book alone and you just want to get on with the story. The drag is compounded when you're doing high-level combat. Even with dice-reducing formulae in play, the eternal grind of those enormous numbers makes going to bed early sound better and better. So, yeah, I sort of cheated. I scaled everything down to a lower level, called the fights early when the direction seemed clear, and had a good time. 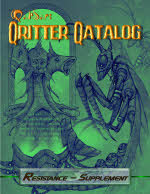 My horror adventure, "The Ephemera Furnace" is in this one, along with three others by some other people, edited and laid out by somebody else, with some art by... I dunno... artists. Did I mention that I wrote one of the scenarios? I'm thrilled that you're looking out for the roads in my neighborhood. Seriously, the city is looking much better these days, and I'm grateful. I was just wondering, though, if you really think FOUR O'CLOCK IN THE MORNING is the best time to be firing up that jackhammer. Just, you know, something to consider. So, with everybody's character made, a bit of scenario-tinkering done, and a quick side chat with Shelly about Mr. Tripp's background, we were ready to get started. After a quick CGI zoom from space, the camera settled on Angelo's Pizza in Cleveland, where Sally and Rick were just closing up for the night. On their way to the car, they heard glass breaking in the vintage record store across the street. While they discussed whether they should call the police, investigate for themselves, or some combination of the two, Alan Tripp came dashing out of the store, followed by two clockwork robots disguised as parking attendants. Sally screamed (Jack had been itching for the chance ever since he saw that "screamer" was a useful trait) and they all ran away while the robots were looking around baffled. Once they got a couple of blocks away and there was no sign that the robots had followed them (Sally and Rick having made a point of following Alan). Alan asked if this was Cardiff and Rick said, "Is that in Pennsylvania?" Alan introduced himself as "Mr. Tripp" and explained that he was pursuing a fugitive named Harkness but some kind of feedback had damaged his vortex manipulator and dumped him in the room with two hostile robots. The readings suggested that a zygma beam device had been activated here, but he had never heard of such a device actually being used. In response to his query about possible temporal anomalies (apart from the robots) in the area, Sally said, "Well, the record shop does sell vinyl." Rick wished Alan luck and was eager to get home, but Sally, already swooning, insisted that they couldn't just abandon this poor, time-lost peace officer, who didn't even have a place to stay. Since they had to pass the record store on the way to Sally's car, and everything appeared to be calm again, Alan decided to check it out, suggesting that Sally and Rick stay clear. Of course, they went with him anyway. It was immediately clear that the robots were still inside, dragging a fancy oriental wardrobe with some kind of intricate device, possibly a lock, in the middle. 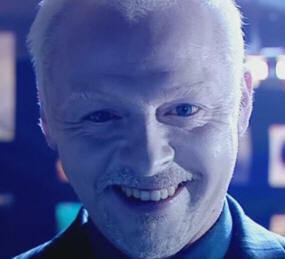 A frosty-haired guy who looks like Simon Pegg was supervising. Despite their attempt to be stealthy, he saw our heroes right away (Sally's a bit clumsy and has no points in subterfuge). "Ah," he said, smiling, "They told me I wouldn't have any help from the Agency until the cabinet was secured. Well, what are you skulking around for? Let's get to it." The stranger frowned but took Alan's hand, "You already know who I am. I'm the Editor, last of the Time Lords, and I'm here for the same reason you are." And it was getting late, so we stopped it there. I'd love to explain all this, but my players read the blog sometimes, so you'll just have to find out when they do.